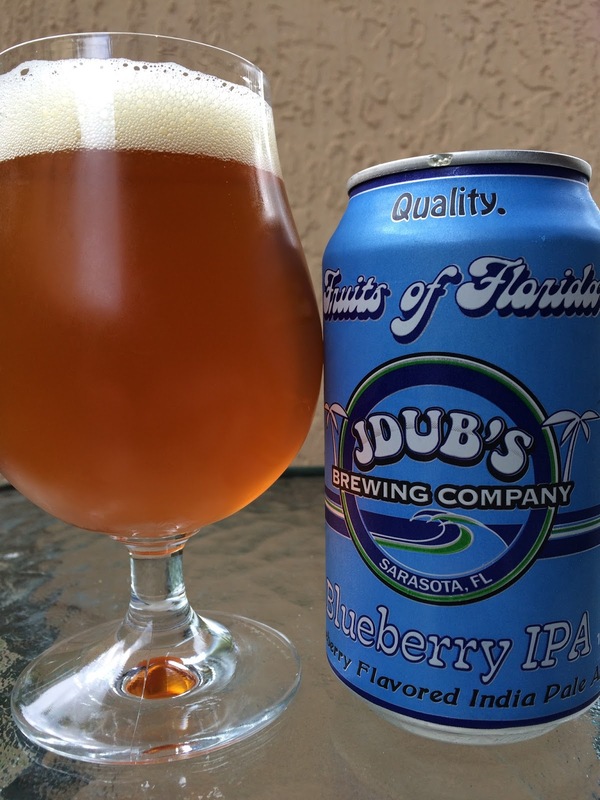 JDub's Brewing recently released their "Fruits of Florida" spring seasonal... Blueberry IPA. Each season they will brew an entirely different IPA and infuse a new in-season fruit into that beer. There's a little story on the back of the can to set your expectations. 6.6% alcohol. Bright blueberry aroma, juicy, sweet, tangy, fresh. 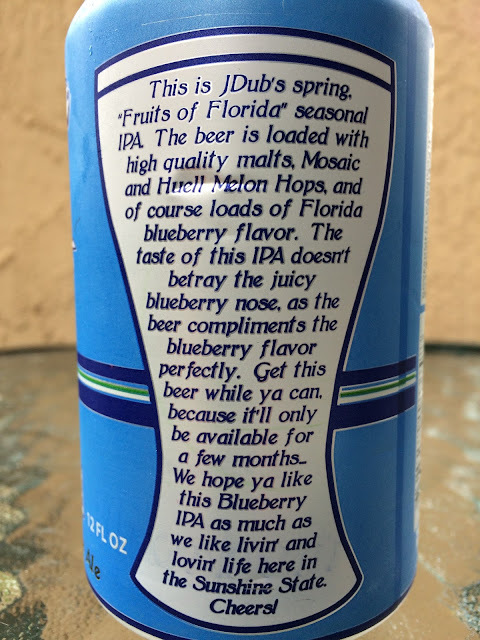 While there are sweet and tangy blueberry flavors as well, that aspect was not nearly as noticeable in the flavor profile. This beer is definitely more of a nice juicy IPA. Hoppy with plenty of orange and citrus, honeydew melon, fruity, and a spicy nip. Bitter balance is great. By the end, you will probably forget that this was a blueberry inspired beer. IPA flavors linger long into the finish. Despite not getting more blueberry flavor, this was definitely a tasty beer!